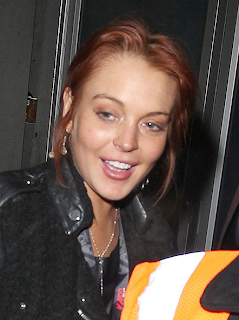 Lindsay Lohan is planning her escape from The Betty Ford Center because they won't allow her to take Adderall. It's Lindsay Lohan's worst fear ... doctors at The Betty Ford Center have cut off her precious supply of Adderall -- and now, she's hell-bent on making her escape. Sources close to Lindsay tell TMZ ... doctors at the rehab center evaluated Lindsay this week and decided she does NOT need her Addy pills, despite Lindsay's claims she suffers from ADHD (attention deficit hyperactivity disorder). We're told Betty Ford's doctors almost NEVER give anyone over the age of 15 the powerful drug, because the docs believe there are plenty of substitute meds for ADHD that do the trick without the addictive qualities inherent in the drug. And, we're told, the doctors are well aware many people -- especially Hollywood types -- misuse Adderall as a weight-control drug. Here's the immediate problem ... Lindsay is telling her friends she CANNOT stay at Betty Ford and wants to be moved to another facility that is not hard-nosed about Adderall. And this sets up yet another crisis, because it seems inconceivable Judge Jim Dabney and prosecutors would ignore the Betty Ford doctors and trump their diagnosis by letting Lindsay make a move. She still looks like a coke head! She's doing the same thing Michael Jackson did—she insists on having her drugs and she will not stop until she finds a doctor to give her what she wants. She's gonna end up dead and some doctor is gonna end up in jail. People need to start telling her NO.